See our series of webpages on publishing in OA journals. Connect to the library catalogue. There are no restrictions on access to TOPCAT; anyone can search it anytime. It provides information about ALL library holdings, whether online, in print, or in any other format. A list of all our online indexes and databases - alphabetically by title. The quickest way to get there if you know the title. Lists of indexes and resources by subject. We welcome your comments and suggestions for these, and we are happy to create a pages for your course. Links to online resources other than indexes, such as reference materials, primary documents, and e-books. Resources are listed by type of material. Find all our e-journals, by title, keyword, subject, ISSN, or provider. 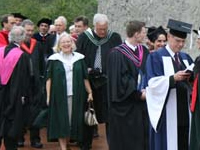 Trent Library, along with the other OCUL (Ontario Council of University Libraries) sites, uses a service which provides enhanced linking to online resources. Using Open URL technology, this product links to online resources at the article or Table of Contents level, as well as offering a search of TOPCAT (the library catalogue) for print resources. It's called "Get it!". Databases for the MaDGIC unit. The Center for Research Libraries (CRL) makes available more than 4.5 million publications, archives, and collections and one million digital resources to its members libraries to supplement their own humanities, science, and social science holdings. See more information. Center materials can be obtained for extended loan periods and at no cost by users affiliated with member libraries. Trent is a member. Use RACER to request a loan from CRL. WorldCat describes itself as "the largest library network in the world. WorldCat libraries are dedicated to providing access to their free resources on the Web, where most people start their search for information" (from the website). WorldCat allows you to search a database of the holdings of thousands of libraries worldwide. It's an excellent tool for finding out what is out there. Once you know a book exists, you can order it on RACER.